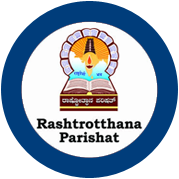 Founded with an ambition to enable the knowledge, essence and disciplines of Indian lifestyles to take root in each person’s mind; Rashtrotthana Parishat has always believed in the value of books in the process. For the publication of such books that can incorporate values in life, the Rashtrotthana Printing Press was established in 1967. The press has never compromised with quality or deadlines, and has been awarded a number of recognitions for the same. The press has equipment that can print in black and white and colour alongside modern technology that enable fast and simultaneous printing. The technologies also include DTP, CTP, binding and lamination facilities. A number of state level organisations are currently our proud and happy customers.